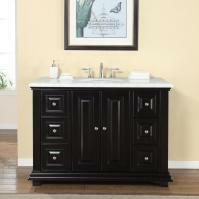 This single sink vanity has a lot of style and a unique design that will make it a great choice for the bathroom. The clean lines of the base are enriched by the dark espresso finish of the wood. 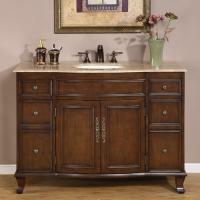 The brushed nickel hardware pulls pop out against the deep tone of the wood. Naturally beautiful travertine material is used to create the counter top that slopes down into a ramped sink area. 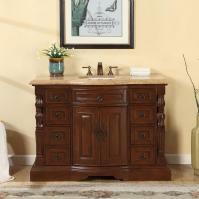 This piece will make a very nice addition to the home and has a look that will blend well with many types of room décor. 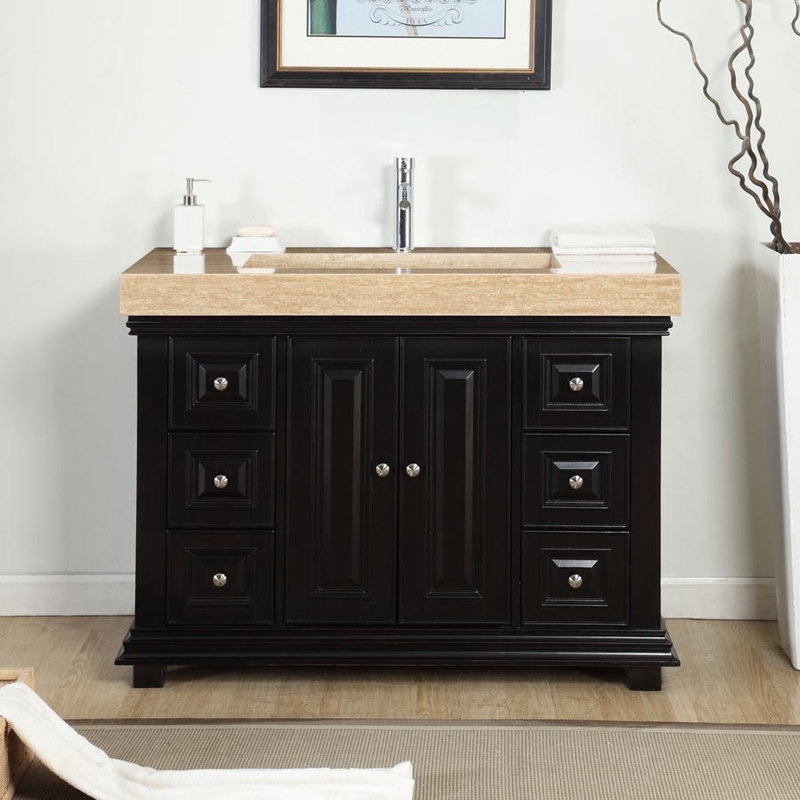 The high quality materials ensure many years of usefulness.